Today Tif is getting her game face and game plan ready in preparation for tomorrows surgery. The BIG DAY — 9/24 — and to all our gamblers out there 924 may just be the ticket to buy! On Friday (9/21) Tif met with her Surgeon, Dr. Ginger Gardner and team at MSK to discuss her upcoming surgery and plans going forward. Just an FYI, Tif could not be in better hands with Dr. Gardner, and we just know she’s going to be up and walking VERY soon! Get ready cause here she comes (apologies but since we KNOW she is gonna rock it this whole week we needed an “edgy version/tune of “Get Ready“.) Feel free to jump out of your seats to pray, run, sing or just dance! 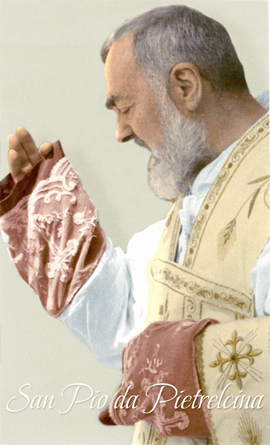 St. Pio, who was more commonly known as Padre Pio, was canonized by St. Pope John Paul II in 2002. The Capuchin Franciscan priest was known as a confessor and a mystic. He died in his native Italy on September23, 1968, at age 81. 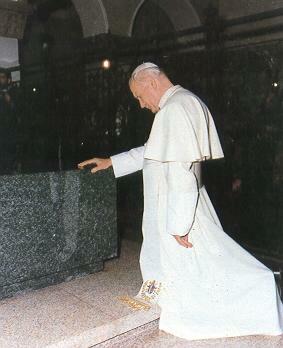 Pope John Paul II recognized Padre Pio as a saint on June 16, 2002. His feast day is today September 23. He is the patron of civil defense volunteers, adolescents, and the village of Pietrelcina. Padre Pio was said to have had the gift of reading souls, the ability to bilocate (according to eyewitness accounts), among other supernatural phenomena. He was said to communicate with angels and worked favors and healings before they were requested of him. The reports of supernatural phenomena surrounding Padre Pio attracted fame and legend. The Vatican was initially skeptical BUT we are not 😉 . As a matter of fact, Padre Pio was one of Dorothy O’Toole’s favorite saints and we just know he and she are storming the heaven in prayer for old Tif and are leading the charge for us all. Village prior to today’s liquid diet. Looking good as always – filled both spiritually and physically. For those wanting to learn a bit more about Padre Pio the following short video is a mini lesson. 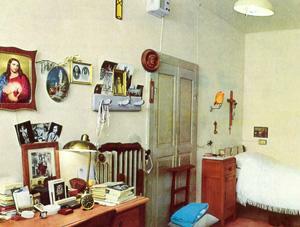 ** for more Padre Pio information please check bottom of today’s blog. So today, Tif will continue preparing physically, mentally and spiritually and from what we know about Tif, she’s got this! Tif not only looks great but is feeling terrific. She wants you all to know that your positivity energy, healing thoughts, prayers and well wishes ARE working. Elephants, good food, healing stones, mass cards… are all doing the job but she wants to thank you for your love and strong faith in her. We know Team Tif is a community effort, no man is an island nor ever truly alone — Thank you! Today Tif is on a liquid diet (broth, jello, hard candy and water/juice) and will be hanging low. Surgery will take place at MSK in NYC and based on how she is feeling she will be at the hospital anywhere from 3-5 days. She will then head home to recover which can be anywhere from 4-6 weeks. Once she has healed from surgery she will hit the ground running to begin her next three rounds of chemo to destroy any existing cancer cells that MAY have been hiding during surgery. We want the cancer gone and are calling on all our TT members to raise Tif up in prayer/song so that the cancer cells won’t have a choice but to GO AWAY for good! In honor of Halloweens approaching date lets all switch the words out from our favorite go-to, the Scary Monster Song (aka “Go Away”), and sing in unison “Go Away Scary Cancer Cells, Go Away”. Another fabulous song in the Team Tif bumper rotation 🎼 😎 🎼 that will stay in your head for days! Sorry… you WERE warned. Now that we have rocked out, signed up for the 5K walk/run at Stepinac, learned a bit about whose St. day it is today (quiz tomorrow 😳), and are chanting Go away scary cancer cells we will leave you with the following prayer. We hope you all can find some time to read it today or tomorrow and think of Tif and all those who are facing uncertainty, challenges, and/or bumps and twists in the road. Padre Pio suffered from poor health his entire life, once saying that his health had been declining from the time he was nine years old. After his ordination to the priesthood, he remained in his hometown of Pietrelcina and was separated from his religious community for more than five years due to his precarious health. Although the cause of his prolonged and debilitating illnesses remained a mystery to his doctors, Padre Pio did not become discouraged. He offered all of his bodily sufferings to God as a sacrifice, for the conversion of souls. He experienced many spiritual sufferings as well. “I am fully convinced that my illness is due to a special permission of God,” he said. Shortly after his ordination, he wrote a letter to his spiritual director, Father Benedetto Nardella, in which he asked permission to offer his life as a victim for sinners. He wrote, “For a long time I have felt in myself a need to offer myself to the Lord as a victim for poor sinners and for the souls in Purgatory. This desire has been growing continually in my heart so that it has now become what I would call a strong passion. . .It seems to me that Jesus wants this.” The marks of the stigmata, the wounds of Christ, appeared on Padre Pio’s body, on Friday, September 20, 1918, while he was praying before a crucifix and making his thanksgiving after Mass. He was thirty-one years old and became the first stigmatized priest in the history of the Church. With resignation and serenity, he bore the painful wounds in his hands, feet, and side for fifty years. In addition, God endowed Padre Pio with many extraordinary spiritual gifts and charisms including the gift of healing, bilocation, prophecy, miracles, discernment of spirits, the ability to abstain beyond man’s natural powers from both sleep and nourishment, the ability to read hearts, the gift of tongues (the ability to speak and understand languages that he had never studied), the gift of conversions, the grace to see angelic beings in form, and the fragrance which emanated from his wounds and which frequently announced his invisible presence. When a friend once questioned him about these charisms, Padre Pio said, “You know, they are a mystery to me, too.” Although he received more than his share of spiritual gifts, he never sought them, never felt worthy of them. He never put the gifts before the Giver. He always remained humble, constantly at the disposal of Almighty God. His day began at 2:30 a.m. when he would rise to begin his prayers and to make his preparation for Mass. He was able to carry on a busy apostolate with only a few hours of sleep each night and an amount of food that was so small (300-400 calories a day) that his fellow priests stated that it was not enough food even to keep a small child alive. Between Mass and confessions, his workday lasted 19 hours. He very rarely left the monastery and never took even a day’s vacation from his grueling schedule in 51 years. He never read a newspaper or listened to the radio. He cautioned his spiritual children against watching television. In one of the largest liturgies in the Vatican’s history, Pope John Paul II canonized Padre Pio on June 16, 2002. During his homily, Pope John Paul recalled how, in 1947, as a young priest he journeyed from Poland to make his confession to Padre Pio. “Prayer and charity–this is the most concrete synthesis of Padre Pio’s teaching,” the Pope said. Drawing approximately eight million pilgrims each year, San Giovanni Rotondo, where St. Pio lived and is now buried, is second only to the shrine of Our Lady of Guadalupe in Mexico in its number of annual visitors. Padre Pio of Pietrelcina, pray for us. Prayers up. Thanks for the great post LizAnne.